This course is a cardio-pulmonary resuscitation (CPR), first aid, and automated external defibrillator (AED) combined into one program. 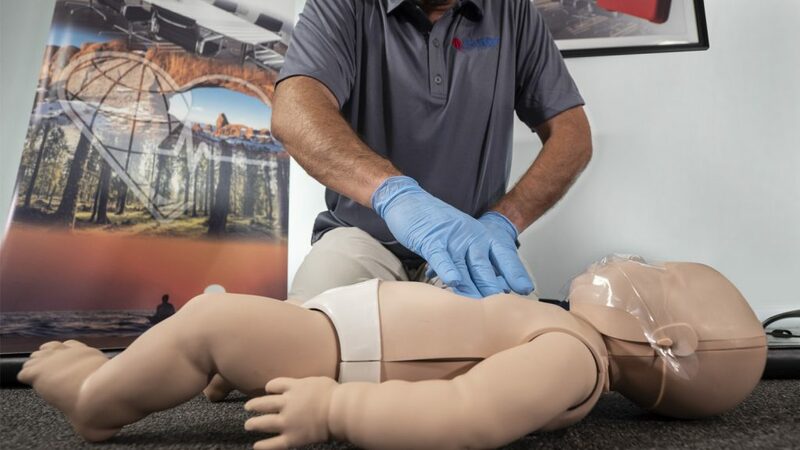 It is designed to teach the proper techniques to administer CPR, correct first aid, and utilize an AED in emergency situations involving infants and children. Parents, teachers and daycare staff can benefit greatly from the training to save a child’s life in a number of situations. The course materials are the same as Adult and Child Emergency Care however the practical applications are child focused. CPR administration for children and infants. First aid for infants and children. Be able to provide 1-person infant and child CPR to a non-breathing or injured person and administer the proper first aid.